→ Spectracide Vs Roundup: Which Brand Works Better? What is the Difference Between Bermuda Grass vs St Augustine? Are weeds making your lawn look hideous? Are you confused with multiple herbicides available in market? I also faced a dilemma when choosing the right weed killer. So, I struck a comparison between the 2 non-selective post-emergent herbicides I had zeroed upon- Spectracide Vs Roundup. Both differ in their core ingredients which works to kill weeds. Spectracide contains diquat, while Roundup contains glyphosate. Both diquat and glyphosate work upon visible weeds seen on top of the soil. Spectracide Grass and weed killer’s key active ingredient is diquat. The method of application for this herbicide is basically spraying. 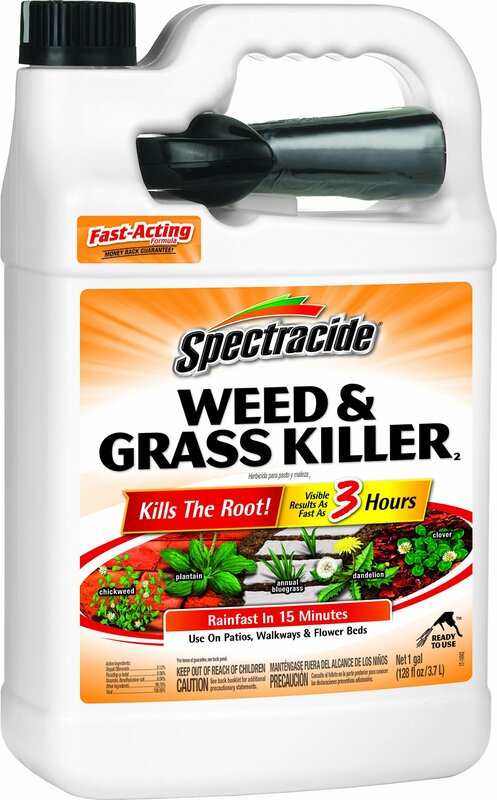 As soon as spectracide is sprayed on the weed, it starts destroying the weed. Diquat dibromide wipes out that plant portion being actually touched. Therefore, careful spraying on weeds growing between plants or in the lawn can help eliminate them without affecting other plants or the lawn. Best suited in flower beds, patios, driveways, walkways, around shrubs & trees. If you accidentally spray spectracide on any beneficial plant, quickly rinse it off with water. Roundup weed killer is key ingredient in Glyphosate. It blocks some segments of the PEP molecule which is responsible for plants and animals metabolism. Roundup is also applied through spraying. It enters the plants through the leaves, reaches the roots and kills it off. 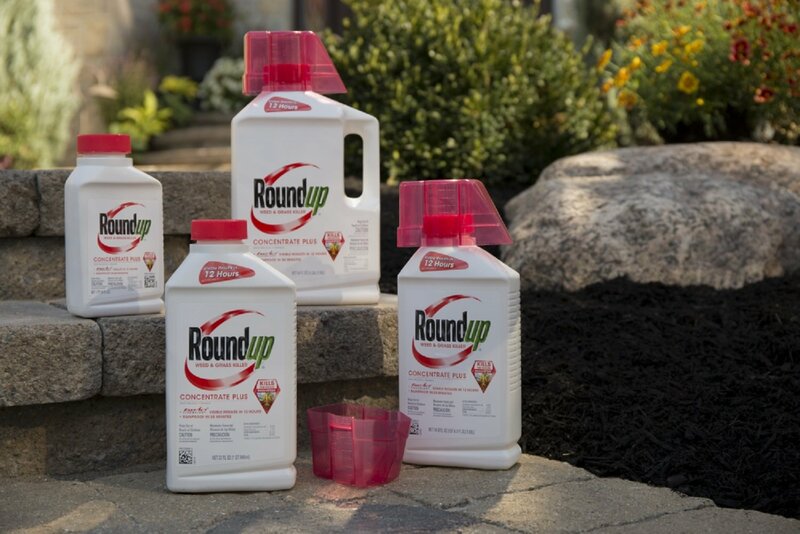 If you are looking for a full-proof solution to eliminate old weeds once and for all, roundup can be a great pick. Avoid application of roundup weed killer during a windy day. Winds will let the spray drift off to other plants and kill them. To specifically kill weeds growing between flower beds or crops, spray during a calm hour of the day. Read also: ​Will Roundup Kill Trees? After thoroughly go through the two definitions, I have made a comparison between these two herbicides. However, they are differentiated by the killing method. Spectracide only eradicate the portion of the weed right after it comes in contact with, whereas any tubers/ rhizomes present underground will continue to exist. Weeds can grow back from these tubers/ rhizomes. Multiple spraying of spectracide will be needed to completely destroy such weed growth. Roundup, on the other hand, kills the weeds in a systematic manner. It slowly enters the plants along with water and nutrients. Great choice for big weed plants! Of course, you might need to be patient as it will take some time to kill the large weeds. ​Finally, I would say that spectracide is a good pick for fresh or smaller weeds while roundup is perfect for bigger and older weeds. Both the herbicides are extremely toxic (inhaling/ingestion), and should be handled very carefully. Glyphosate is dangerous for environment. Whichever herbicide contain it has been prohibited by The European Union. In case of any queries, feel free to ask in the comment section! Track Saw vs Table Saw – Which is the Best?